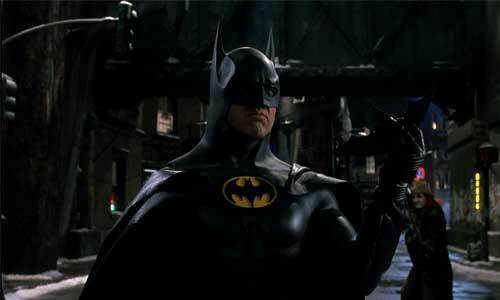 KILLER INSTINCT: Did Batman Kill In ‘BATMAN RETURNS’? We all know that Batman abides by one rule: no killing. It’s what makes the Dark Knight one of the most intriguing comic book characters of all time. Despite his seemingly dark personality, Batman’s unwillingness to cross that immoral threshold is what separates him from the villains he hunts. Criminals have even tried to exploit this fact and label it as a weakness for Batman: Ras al Ghul in Batman Begins and the Joker in The Dark Knight. It’s always been interesting to see just how far Batman can be pushed without killing. Now of course, there are instances that leave one wondering if Batman did in fact “kill” someone, albeit incidental. 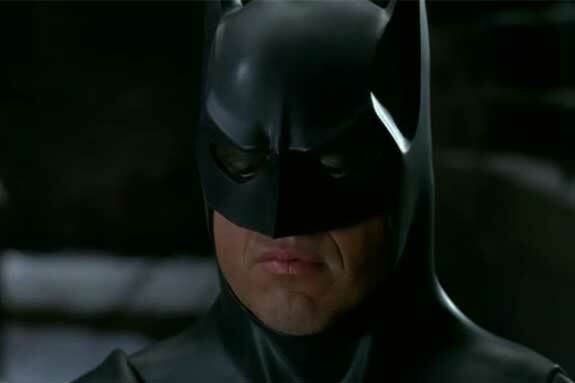 Whenever a car flips over or explodes you question whether or not anyone inside died, and even in The Dark Knight you wondered whether Batman could actually be labeled as the one who killed Harvey Dent or if Dent was just a victim of circumstance. 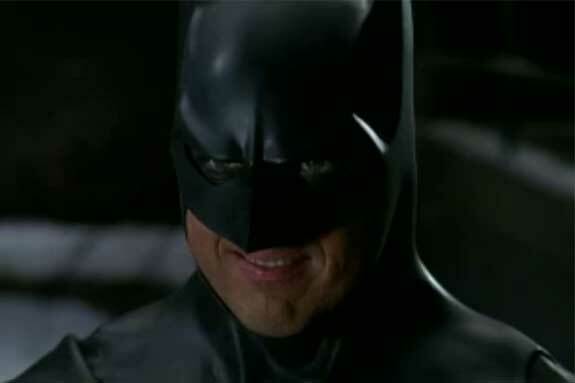 Regardless, we’ve never seen Batman actually kill somone, right? 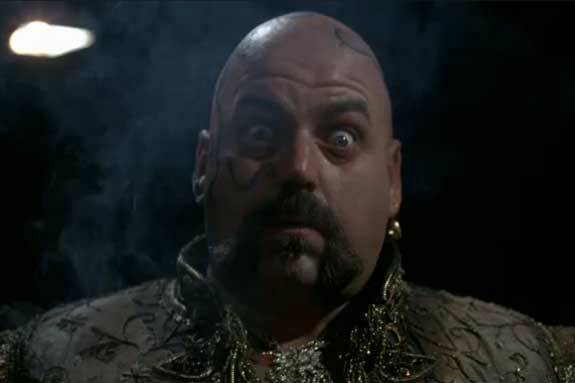 This past weekend I was watching Batman Returns with my wife and saw a scene that made us both do a double take. I think it shows definitive proof that Batman actually kills someone, and not only that, he enjoys it! Take a look at the screen grabs below. 1.) 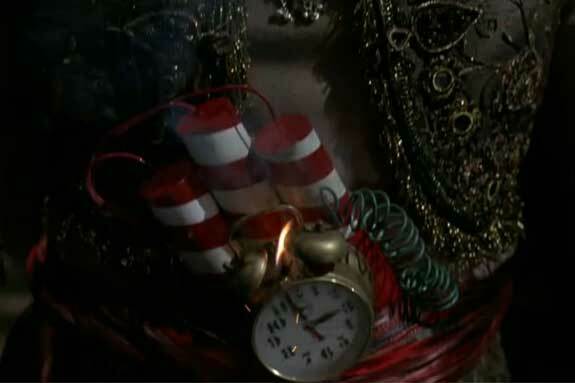 Batman is engaged in a battle with Penguins’ circus gang and is seen here walking with a bunch of dynamite with an alarm clock detonator (original, right?). 2.) 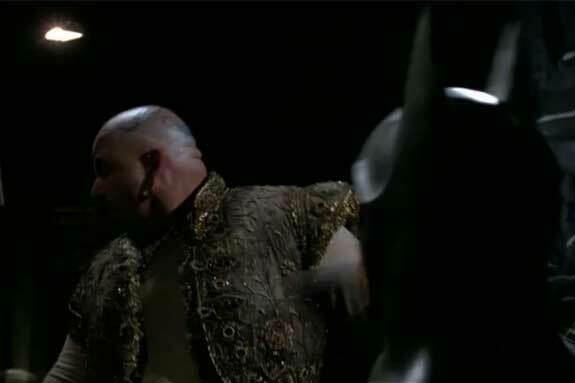 A circus gang member jumps out of the shadows and Batman delivers a classic punch. You can see the dynamite more clearly now in his left hand. 3.) 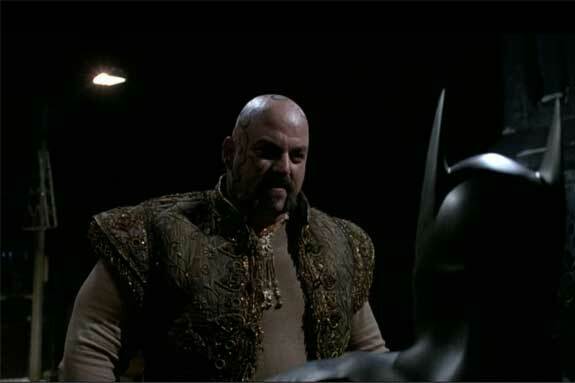 After knocking out the scrawny gang member, Batman is confronted by a larger, bouncer-looking man. 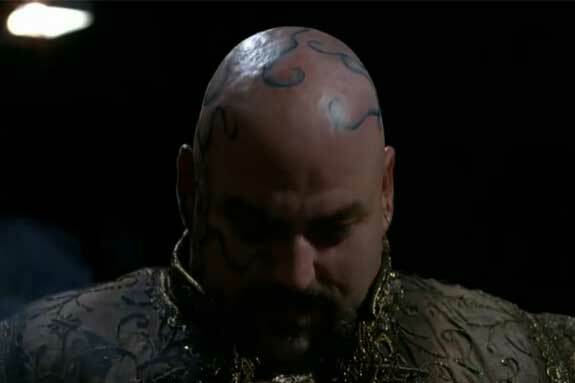 This guy would probably be the strongman of the circus sideshow. 5.) …of course it doesn’t work (nice Mike Tyson face tattoo by the way, good sir). The strongman laughs at Batman and his feeble attempt to knock him out. 8.) The strongman follows Batman’s gaze and looks down at his belt. 9.) He sees that Batman has shoved the dynamite into his belt and the detonator is about to go off. 11.) Batman gives him a menacing smile! What’s worse, it’s clear he is enjoying this. Even the Joker would find this smile creepy. 12.) 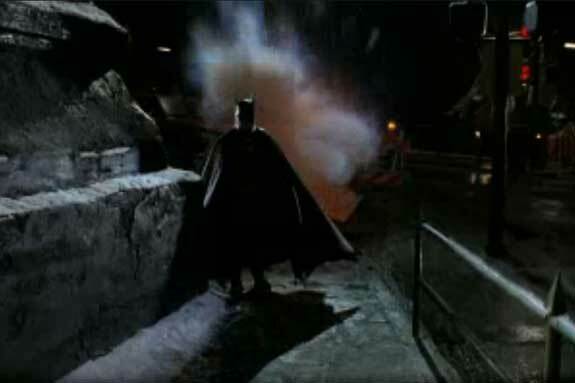 Batman punches the strongman again and knocks him down into an open manhole, the dynamite still in his belt. 14.) –oh, nope. He’s definitely dead. 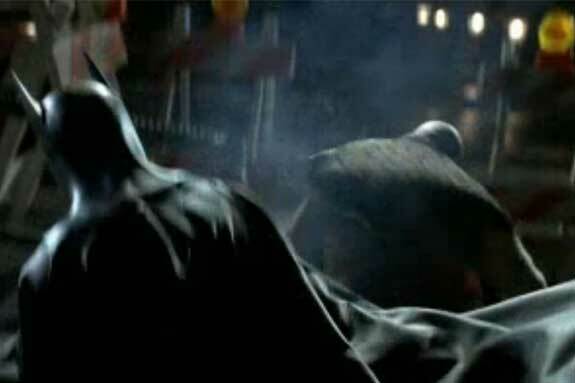 I don’t think there’s really a debate here about whether or not Batman (willingly) killed this guy. Even if the strongman somehow survived, it’s clear Batman shows no remorse whatsoever for leaving him for dead. 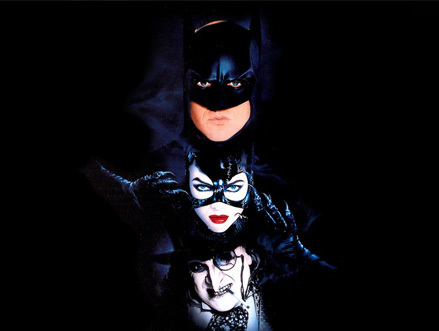 Granted, there was a lot wrong with Batman Returns, but I feel this scene was an egregious oversight. No matter what kind of movie you make with the Dark Knight, you have to follow the same rule as Batman: no killing. So, as Bane would say: Let the games debate begin! 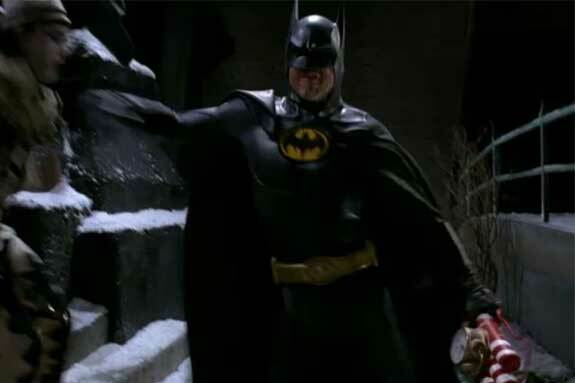 Did Batman kill the strongman in ‘BATMAN RETURNS’? Christopher Nolan and Bale to return for ‘Justice League’? As opposed to The 1989 movie where Batman was shooting at the Joker with machine guns and missiles from the Batwing? http://www.youtube.com/watch?v=JmqNMc0IDWE Granted, he didn't succeed, but not for lack of trying. Great point, Sean. 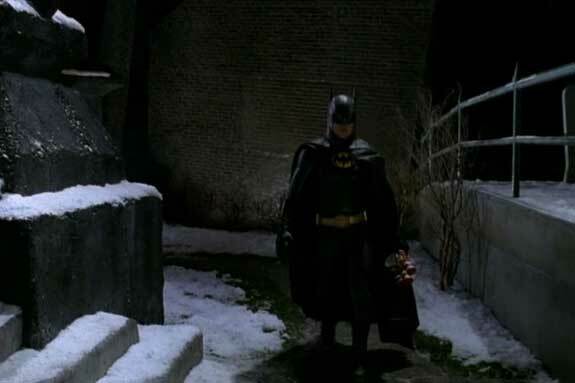 You can even make the case that Val Kilmer's Batman contributed to the death of Two Face in "Batman Forever" by throwing the coins in the air to confuse him. 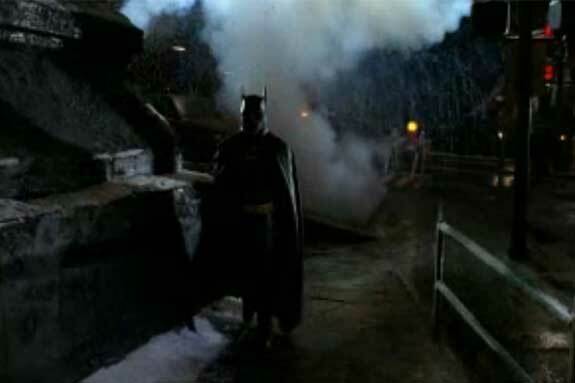 There's a bit of a gray area when it comes to Batman's moral code, but I think the scene above leaves little doubt as to whether or not Batman knew his actions would kill someone. I came into Batman comics as a kid who was impressed by the Batman movie. As such, I've always been confused by the "Batman doesn't kill" idea, as he clearly has no qualms about killing or attempting to kill people in at least the first two Batman movies (*Batman* and *Batman Returns*). I kinda thought the rule was made up for the animated series, frankly. Besides, Batman may not *intentionally* kill (in the comics), but assault enough people, you're going to accidentally do more damage than you intended to, at some point or other. Given how many people he has maimed and crippled over the years, I would argue it's almost more sadistic of him to leave his prey alive. Batman always bugged me anyway. Given Bruce Wayne's resources, couldn't he make more of a difference to crime in Gotham putting his money and power to use fixing the systemic, obvious problems rather than putting on a mask and crippling penny-ante criminals? At the very least, he could put some money into improving security and accountability at Arkham Asylum, so all these wacky breakouts and hijinks can be slowed or stopped. That's a great point, Matthew. It would seem like the obvious solution for Bruce Wayne to put money into improving Gotham. 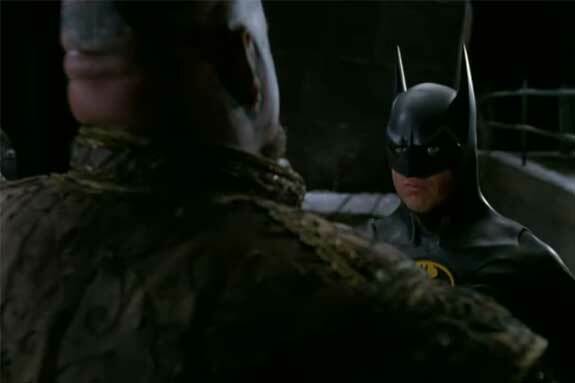 I thought that in 'The Dark Knight Rises' he should've spent the eight years in between 'The Dark Knight' and TDKR improving Gotham as Bruce Wayne instead of sulking around as Batman. 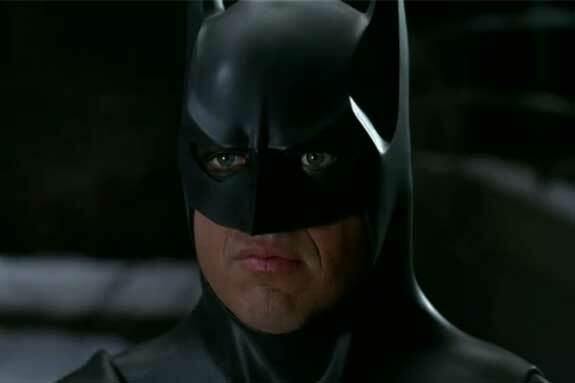 It would've been more interesting to see him living a life as a philanthropic Bruce Wayne and then struggling with the idea of returning to the streets as a crime fighting Batman. He is definitely one of the more interesting figures in the comics because of the moral questions that surround his ethics.